Mr Frosty ice cream factory, make your own delicious ice cream at home in minutes! Create the ice cream mix you like and pour it into the ice cream machine simply twist the handle to create some ice cream magic! after a few minutes you will see the texture change! 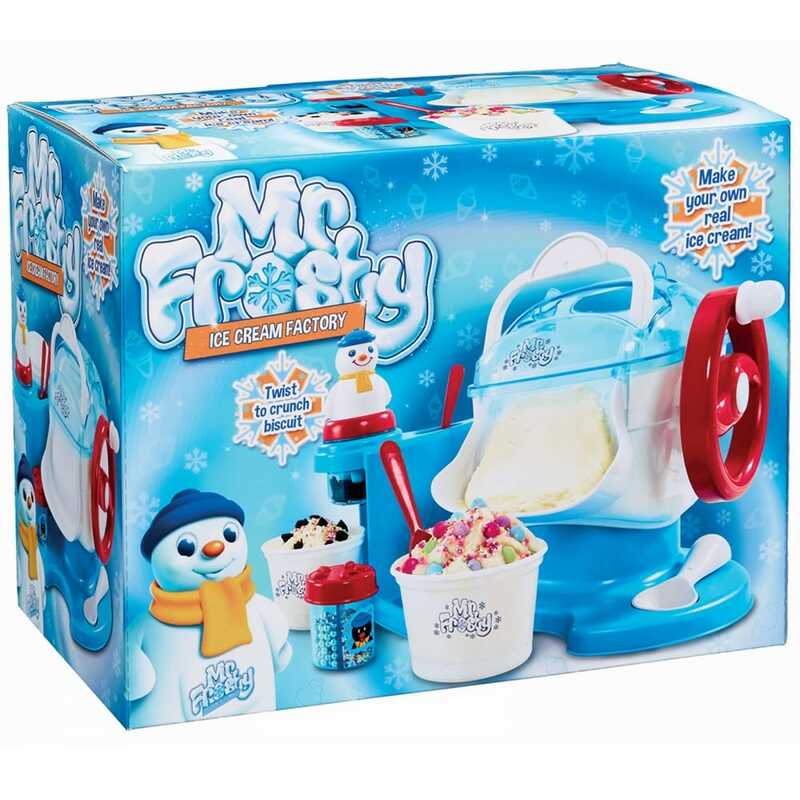 Scoop the ice cream into the Mr Frosty cups to serve your very own frozen treat add any yummy toppings you like! crunch some biscuits with Mr Frosty biscuit cruncher, and add some sprinkles to decorate! Contents: 1 Mr Frosty ice cream maker machine, 2 ice cream cups, 2 ice cream spoons, 1 measuring spoon, 1 Mr Frosty biscuit cruncher, 1 topping container, 1 instruction manual.